"I was walking through town yesterday when I saw a young boy coming toward me swinging this bird cage. On the bottom of the cage were three little wild birds, shivering with cold and fright. I stopped the lad and asked, "What do you have there, son?" “But you'll get tired of those birds sooner or later. What will you do then?" “Huh??!!! Why, you don't want them birds, mister. They're just plain old field birds. They don't sing. They ain't even pretty!" One day Satan and Jesus were having a conversation. Satan had just come from the Garden of Eden, and he was gloating and boasting. "Yes, sir, I just caught a world full of people down there. Set me a trap, used bait I knew they couldn't resist. Got 'em all!" "Oh, I'll kill 'em," Satan declared proudly. “Oh, you don't want those people. They ain't no good. Why, you'll take them and they'll just hate you. They'll spit on you, curse you and kill you. You don't want those people!!" Came home after my night shift, plopped on the couch, and read this great blog post to my children before school. Thanks for posting it. I have to admit, reading this story made me, a grown man, cry. I cried from sorrow for the terrible sacrifice our Savior made for us, but even more so for all the progressive liberals in the world who just don't get it. They don't care. They believe it's all a myth. And some day they will be eternally sorry for their ignorance. I will pray for the likes of a George Thomas for a neighbor. That is beautiful. It's just what I needed now, too. Two soldiers from our brigade/base were killed on Monday in Afghanistan. I hope and pray they are in Heaven and that their families can find solace in that knowledge. Thank you, Patrice, for posting this. I sat down tonight and pulled this up and cried. How awesome is our God. Thank you for posting this. This is a story to carry with you from now on. 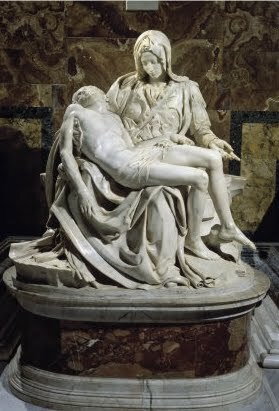 I love the photo of the Pietà. It is one of the most beautiful and moving works of art I have ever had the privilege of viewing. I was only in the 4th grade when I saw it, bathed in a blue/purple light at the New York World's Fair. It made such an impression that I have never, ever gotten over the awe. how many people to this day still don't understand why jesus died and that unselfishly giving of yourself so that others may continue to live is all jesus and god wanted us to do. as JAMES WESLEY, RAWLES' book PATRIOTS so pointedly expresses many times (give until it hurts). 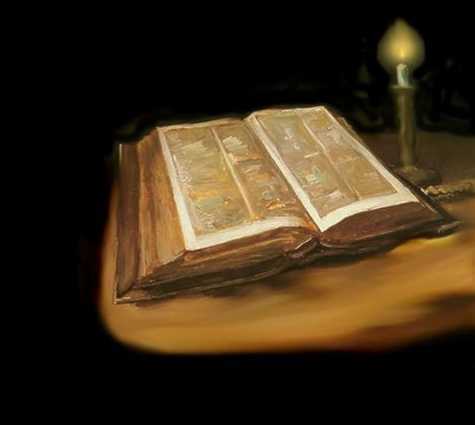 A little bit of theology I hadn't heard before, God & Satan in cahoots over the crucifixion. Poor Jesus didn't stand much of chance then. Astonishing that people take this stuff seriously. . . .